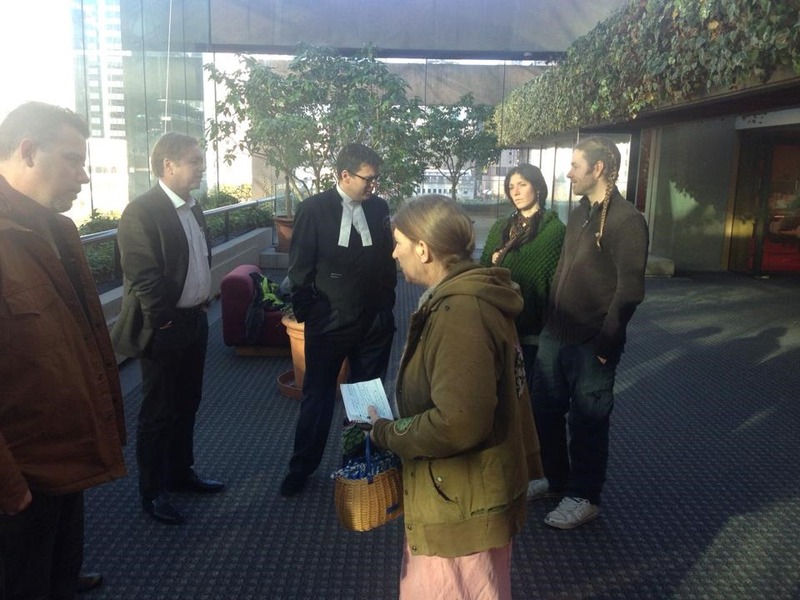 It has been just over 6 months since the BC Court of Appeal heard arguments in the Owen Smith cannabis derivatives case. The stakes are high on both sides, and the results of this decision could be far broader than anyone realized. In fact, this case make make it virtually impossible for the federal government to convict anyone of any cannabis extract charge until such time as edible and topical cannabis products are legally available to patients. Of course, that remains to be seen, as the three judges were quite hostile to the defense, and seemed to be looking for any opportunity to overturn the lower court decision. However, our constitution is clear and the case law behind us. Defense lawyer Kirk Tousaw brilliantly explained the decision of Supreme Court of BC Justice Johnson but there there was a problem with it that needed fleshed out. How can cannabis be legal but not derivatives? 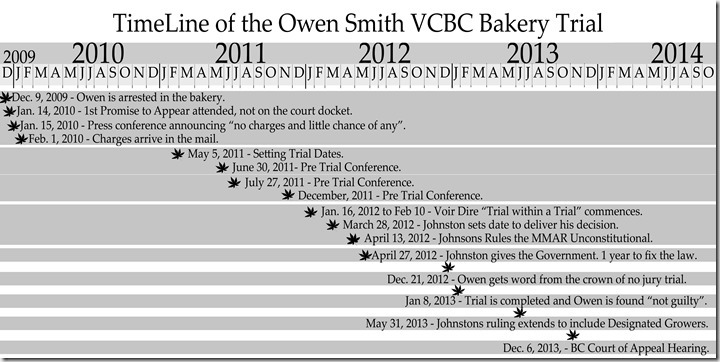 When Owen was arrested in Dec 2009 in an apartment making cookies for the Cannabis Buyers Club of Canada, now Victoria Cannabis Buyers Club, it was clear to even the police that this case could have wide implications. He was eventually charged with possession of THC for the purposes of trafficking. Most people can quickly conclude that allowing patients to grow and possess cannabis without giving them the ability to make tea or cookies with it is absurd. Since the Marijuana Medical Access Regulations did not allow the use of anything other than dried marijuana, a constitutional challenge was clearly in the cards. Ironically, the dried plant material itself has limited medical value. Most of the medical benefits of cannabis come from the cannabinoids and essential oils that form of the surface of the plant in thin strands that appear like a crystal golf ball on a crystal tee. As Kirk Tousaw, our lawyer, said in court, the cannabis plant is the messenger, the THC is the message. Even more striking, is the example he used whereby a patient using a Volcano vaporizer is actually in possession of THC suspended in air in the bag, separate from the dried plant material left in the machine! This was not a question the BC Court of Appeal looked at very close. Even the crown found little to argue with, except to say that it would cause problems with the police. Without any police testimony in the actual trial, though, those arguments have little weight are are pure speculation. What the court wanted to discuss was the legal question of standing. It is the general principle that one cannot be convicted of a law that is unconstitutional, even it the law does not apply to the individual charged. Going back to the Dr Morgentaler abortion decision of the 1980s, the matter to standing has been used in a wide range of cases to force the government to create laws and programs that are in accordance with the fundamental principles of justice. In a number of medical cannabis cases, though, this principle has not been accepted by the judge, often finding the defendant guilty before then giving them a discharge. Such was the case with the Mat Beren trial, where the judge ruled the MMAR were unconstitutional, changing the regulations but still finding him guilty before giving him an absolute discharge. 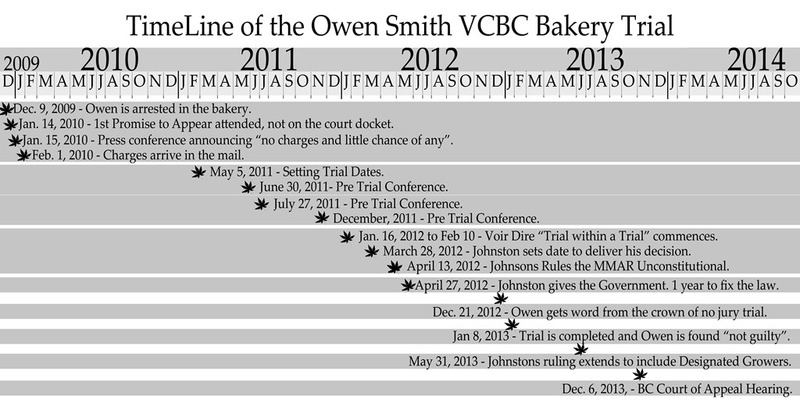 In Owen’s case, Justice Johnson also ignored the legal principle and after ruling the MMAR was unconstitutional, he decided it was still in the public interest to proceed with a jury trial. The crown felt forced to drop the jury trial as it would be very hard to convict the Owen by jury if the law had already been ruled unconstitutional. Standing, however, is an issue for the appeal court and here is why. 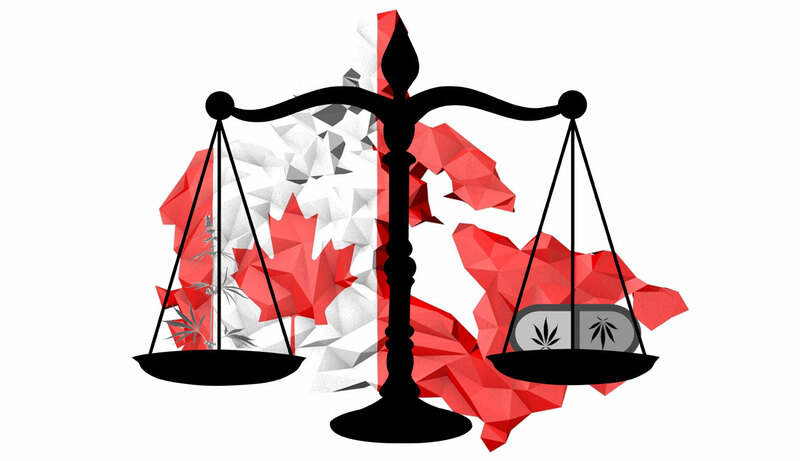 If the principle of standing is applied to this case, then not only is Owen free, but anyone in Canada charged with any cannabis offense other than dried marijuana can also argue the law is flawed and have the charges thrown out. In essence, it will be virtually impossible to convict anyone of producing and selling cannabis derivatives until such time as a legal, constitutionally acceptable system is in place for the sale of extracts to patients. Now there is a new system in place, the Marijuana for Medical Purposes Regulations, which strangely forbid the sale of cannabis derivatives and informs patients they are allowed to make whatever they want with the herb without actually amending the law to actually make it legal. Many new Licensed Producers have expressed a keen interest in supplying these types of products but every attempt to even have a conversation with Health Canada officials is shut down before it begins. The MMPR do not even mention the Smith case when referring to the successful court challenges that forced them to reconsider the MMAR. So now we are playing the waiting game. There was no doubt it would take longer than 6 months but the decision could happen any day now. If we win a 3-0 decision that will probably be the end of it, as the Supreme Court of Canada rarely looks at unanimous appeal court decisions. Alternatively, if we lose 3-0, then we expect the crown to go back to having a jury trial at which point Owen would argue a defence of medical necessity. A split decision either way and we are off to the highest court in the land. Looks like that is a very good possibility, I just hope we go there on the winning side of a 2-1 decision. At the very least this decision should make it legal for patients across Canada to make and use cannabis derivatives without fear of prosecution. But there is a chance it could be much bigger than that. 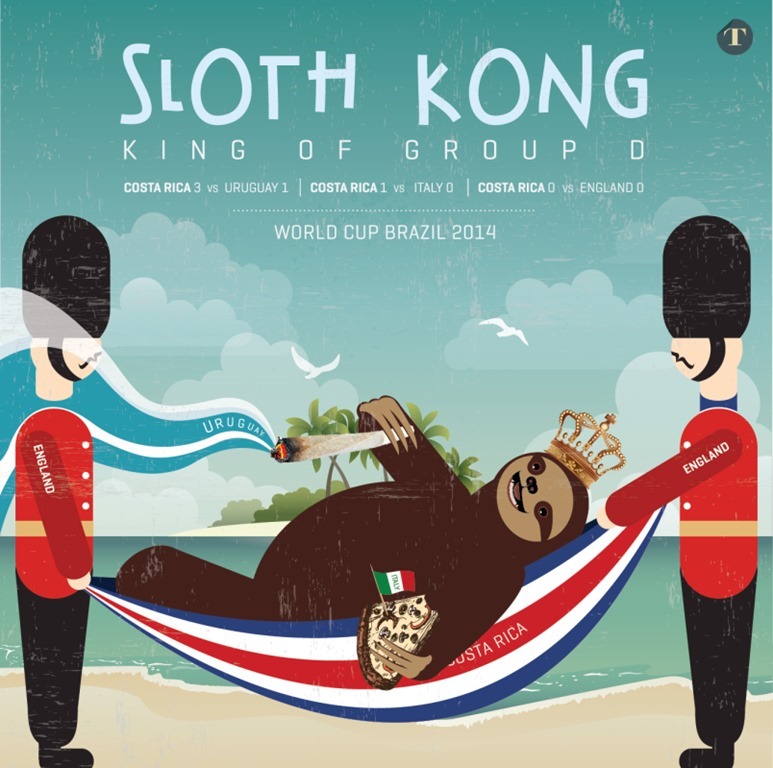 It has happened before. After the Hitzig decision of Oct 2003, the government was told they must fix the MMAR to allow patients to buy cannabis from Prairie Plant Systems and until that was in place it was impossible to convict anyone of a cannabis offense. Marc Emery toured the country in the summer of 2004, smoking joints in front of police stations, proving even if they busted him that the charges would not stick. All that changed in Aug 2004 when PPS sales began. History may be about to repeat itself, but this time for cannabis derivatives. It could not happen soon enough. Previous article What about the doctors? The scary part is. Not one person attacking the cost. And the fact that. No matter what the session is. The cost alone makes everything unconstitutional. Because 90 percent of Canadians can not afford to consume it.